Through various programs, the Tiger Woods Foundation strives to improve the lives of children living in America. The organization's mission is to make a positive lasting impact on youth. Tiger Woods is a pro golfer who, along with his father, in 1996 created the Tiger Woods Foundation. The Foundation was created to improve the health, education and welfare of children living in America. The Foundation believes that everyone is someone. The Foundation hopes to inspire a new generation so that young people can discover that there possibilities are limitless and that if they believe in themselves anything is possible. There are several programs that have been established by the Foundation. All programs are focused on the goal of improving the lives of children. 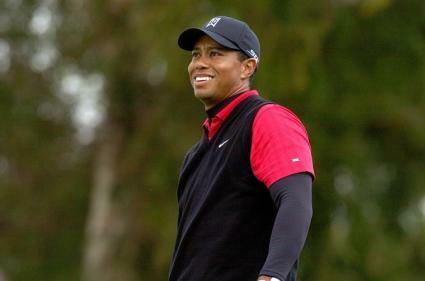 Tiger Woods Learning Center is an educational center located in Southern California. At the center, opportunities exist to explore careers and to get career orientation. Community outreach programs exist for students and their families as well. The Center's goal is to demonstrate to the underserved youth the importance of education in achieving a successful future. Tiger's Action Plan Curriculum is a nationwide program that can be downloaded from the Foundation's website. There are online activities such as career exploration and an interest match survey to complete and find out what areas fit your specific interests best. You can also order materials online and have them sent to you. The Action Plan was developed for kids to realize that they can reach their goals and accomplish their dreams. Grants focus on giving underserved youth, ages 8 to 18, many different opportunities that they would not otherwise have. The average grant award is between $2,500 and $25,000. Over 100 charities annually receive a grant from the Foundation. Areas of interest for funding are education and youth development. This includes mentoring and tutoring programs as well as any programs that will further enhance learning. The geographic preferences for grants are California, Florida, Washington DC, Pennsylvania, Virginia, Nevada and Texas. Visit the Grants section on the website and click on the link How To Apply to find out more. The Foundation awards scholarships through programs such as the Earl Woods Scholarship Program. This particular program provides four-year college scholarships to students who have proven that they need financial assistance as well as those who have shown that they are committed to serving their community. Scholarships up to $5,000 per student are awarded yearly to graduating seniors. There are several special events sponsored by the Tiger Woods Foundation. Each event raises money that goes to improving the lives of children in America. Volunteer opportunities exist for the various Tiger Woods programs. Contact the Foundation to see how you can take part in volunteering and making a difference in children's lives. You can also make a difference by donating. Your donation will help support the Foundation's mission. Donations can be made online by clicking the Donate Now button or sent through mail to the following address: 121 Innovation Dr., Suite 150, Irvine, CA 92617.